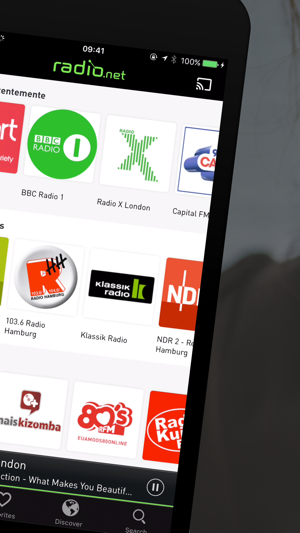 With radio.net you can play your favorite station, as well as over 30.000 more webradios, podcasts and stations from all over the world. Discover new songs and musical genres, always up to date, with entertaining radio broadcasts and exciting news reports. 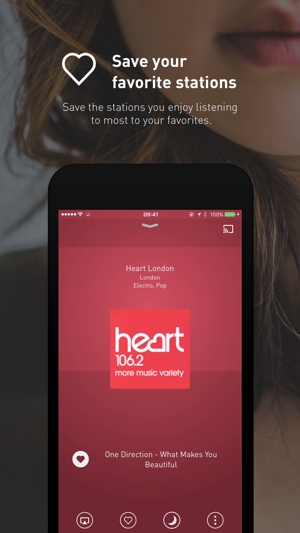 ● Stream any station anytime, anywhere - completely free of charge. 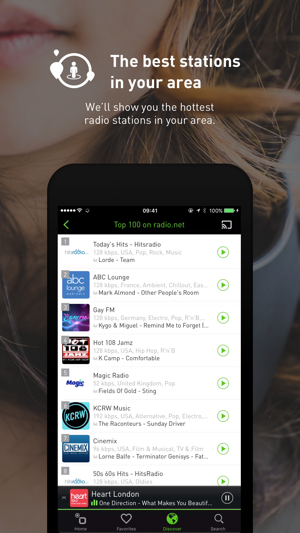 ● Save your favourite stations in your own favourites list. 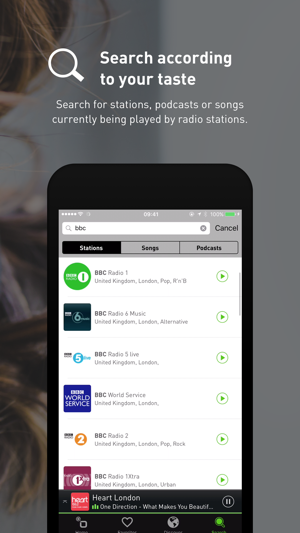 ● Receive station recommendations based on your personal music tastes. 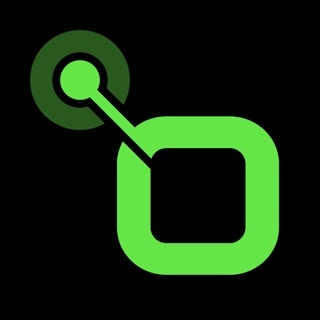 ● Are you looking for stations from your local region? Take a look at ""Local Stations"" and you will find what you're looking for. ● Use the search feature to search for specific genres, cities and locations. ● Expand your music knowledge with the display of played songs and performers. ● Do you like a certain song? Then search for stations that are currently playing it. ● Go on a musical discovery tour with our editorial picks. ● Wake up in the morning in a good mood with our alarm and sleeptimer. What are you waiting for? 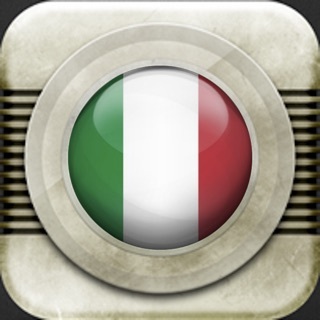 Just click on ""Download"" and enjoy the whole world of radio in an app! 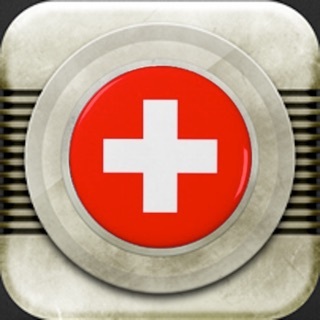 If you like the app, please give us a rating in the App Store! We made improvements to the stability and reliability of the app. We are always working to improve your radio.net experience. If you enjoy radio.net, please leave us a review here. For any feedback please email us at support@radio.net. Jesus... Why haven’t I discovered this app until now??? I’m into sports radio, classic rock, soft rich, and smooth jazz. Now in a matter of a minute my favorite stations from New York and Boston are locked in on my favorites page, ready to be punched up at any time! App is flawless as of now, and FREE! I don’t care about the ads. They don’t interfere with the broadcasts. But if this app works as well as it does now for a month I’ll buy the pro version ($6.99) to throw money to the developers. Now, I am happy. 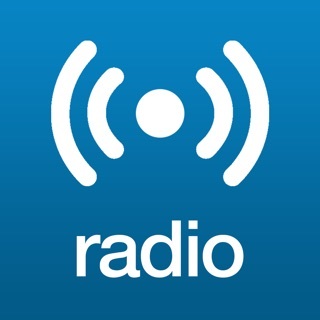 Upd: radio z100 works just smooth and fine right now, thank you very much this app rules!! 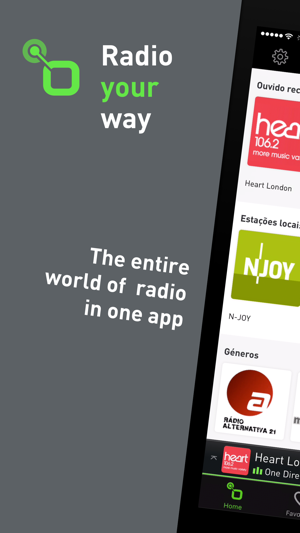 This app has a seemingly unlimited number of streaming stations in every genre. 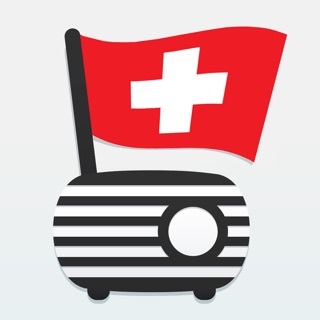 Most of the stations are commercial free, good quality sound, and the app itself has a clear interface and almost no ads (just some unobtrusive banners). Amazing app, it runs in the background so I keep it on all the time, it’s replaced every other music app on my phone.